After revisiting movies like The Asphalt Jungle and Heaven Knows, Mr Allison, I have taken a much needed break from anything John Huston-related. 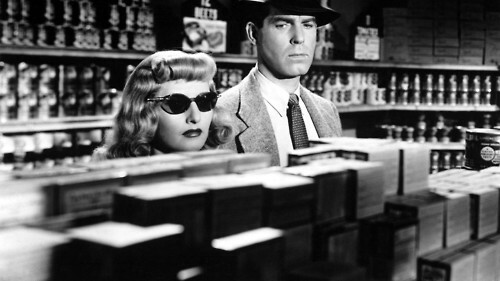 This is essentially on how I settled on watching Double Indemnity, a film noir I have not seen in years. And it is just so damn good. Barbara Stanwyck plays Phyllis, a bored housewife who wants to see her old and controlling husband killed. Enter insurance salesman Walter Neff, played by Fred MacMurray. He instantly falls for her and the attraction between them, thanks to some wonderfully innuendo-laced lines , is undeniable. All the plan to kill Phyllis’ husband requires is for a double indemnity clause to be added to her husband’s life insurance policy. If her husband is killed in an accident, the bigger her payout will be. Because Neff knows the ins and outs of the insurance business, their plan is seemingly foolproof. But these things almost never are. Everything quickly falls apart thanks to Phyllis’ suspicious stepdaughter and Barton Keyes, Neff’s equally suspicious co-worker. 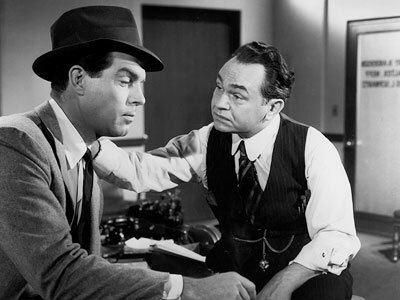 Keyes is played by Edward G. Robinson, a role he was initially opposed to taking because it signaled that his days as a marquee star with top billing were over. Keyes drives the plot and his relationship with Neff keeps it grounded as Phyllis and Neff enter dark territory. The final scene, which in today’s terms is easily described as a bromance, is a brief reminder that Neff isn’t the bad character he wound up becoming. As far as film noir vixens go, Barbara Stanwyck’s conniving Phyllis is one of my favorites. She’s dangerous from the beginning and her hold over Neff is admirably strong. Everything about her appearance is so strikingly cheap and put on but Neff doesn’t see what is really behind her deceitful ways until it is too late. So, there I am watching Th Apartment the other day and for the life of me I couldn’t remember where I knew Fred MacMurray from. 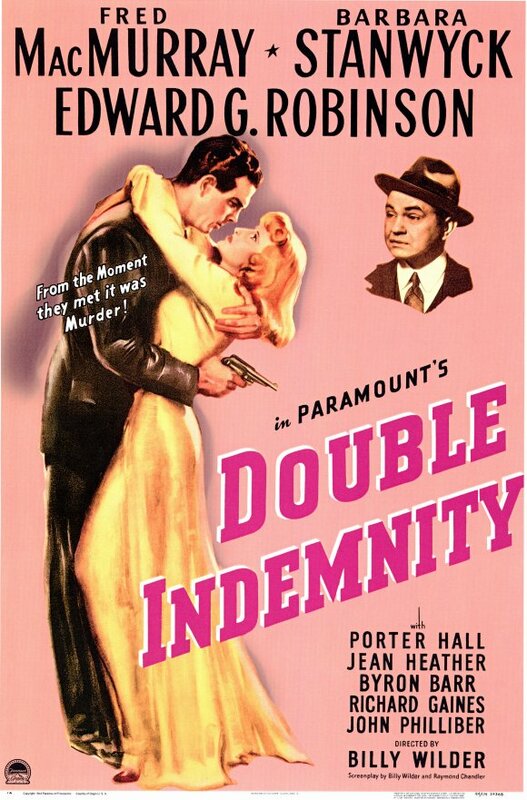 It’s so embarrassing, but I almost always forget about Double Indemnity. I forget that Barbara’s in it, I forgot Billy directed it, I forgot that Body Heat is based on it. Clearly, I need to see it again.